"I See SoCal Uniting in Common Cause." 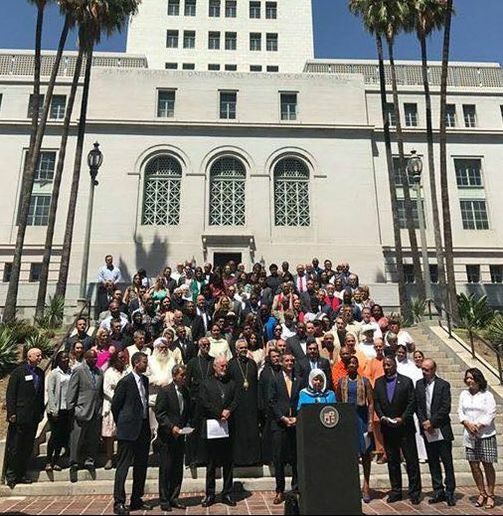 The Interreligious Council of Southern California is a unique model of interreligious cooperation and collaboration made possible by the rich and diverse population of the region. Founded in 1969, ICSoCal comprises members from the Hindu, Jewish, Buddhist, Christian, Muslim, Sikh, and Baha'i faith traditions. "Christian, Jew, Muslim, Shaman, Zoroastrian, Stone Ground, Mountain, River, each has a secret way of being with the mystery, unique and not to be judged."